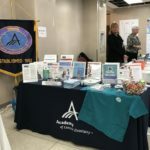 The Illinois AGD had the opportunity to participate in the UIC COD Career Fair on January 25, 2019. During the course of the fair, ILAGD officers and members met with students from all the classes and educated them on the benefits of their AGD membership. 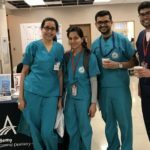 Many of the students were not aware of the 50 hours of continuing education credit that they can earn while attending dental school that will apply towards their Fellowship Award when they graduate. Networking through volunteer leadership is an excellent way for students and new dentists to learn about career opportunities. The AGD Career Center aids in preparing students for graduation by posting resumes and job listings online. AGD’s award winning publications: General Dentistry and AGD Impact as well as our online practice management resources are all beneficial ways for students and new dentists to obtain the information they need to jumpstart their careers. What new dentist wouldn’t love to save money? The AGD Benefits Plus Program provides discounts on personal and professional products and services to assist new dentists in paying off their student loans while preparing them for their new careers. AGD’s Student’s Transition Manual has recently been updated and is online! Look for it in the Student Resource Section on agd.org. Check out Ilagd.org for our 2018 CE programs –many of which are of no cost to dental students and residents. The students are embarking on an exciting journey and the AGD and the ILAGD will be there to support them during their transition from pupil to new dentist. From continuing education and leadership opportunities to one-on-one expert advice, the AGD has all the tools needed to plan ahead for a successful dental career. Thanks so much to our ILAGD Volunteers: Drs. Chuck Martello, ILAGD President, George Zehak, Past President, ILAGD, Rosemary Villa, ILAGD Board Member.